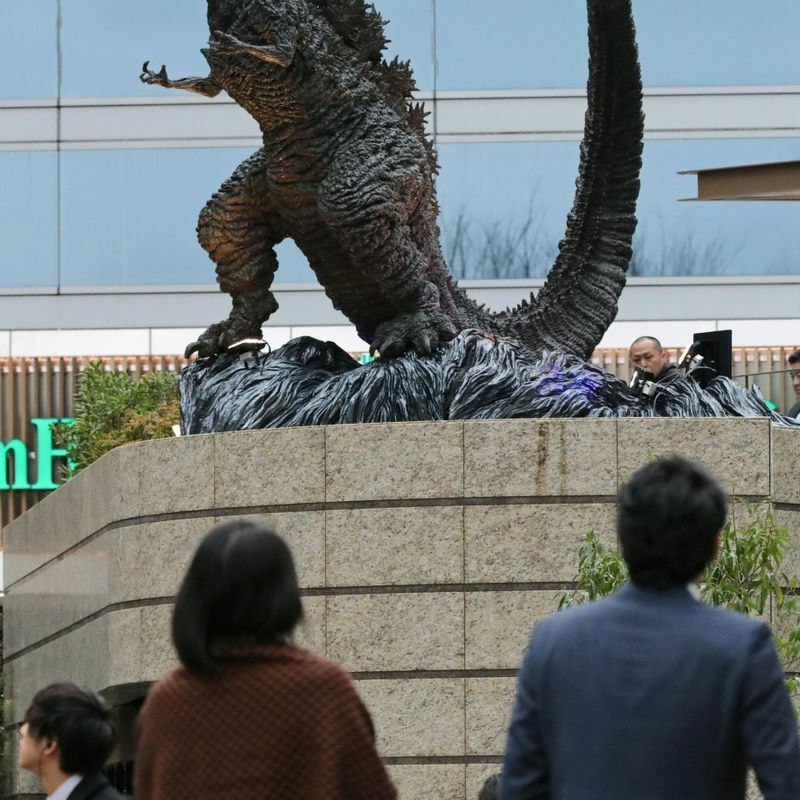 TOKYO - A new Godzilla statue was unveiled Thursday at a shopping mall in central Tokyo, fulfilling the prophecy inscribed on its predecessor that there would be more monsters looming over the area. The new statue, depicting the Tyrannosaurus-like lizard creature featured in the film "Shin Godzilla" released in 2016, measures 3 meters in height, including its platform, and is the largest Godzilla statue in Japan, according to film and media production company Toho Co. 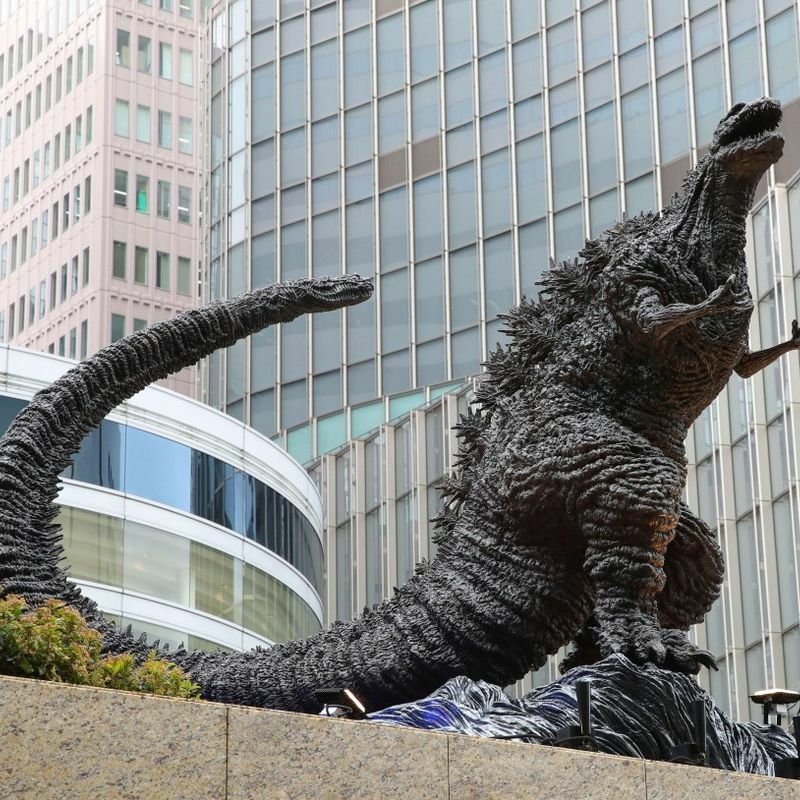 Located on a square in front of the revamped Hibiya Chanter building in the Yurakucho district, it carries a plaque inscribed with a quote from the film, "The human race must coexist with Godzilla." The previous statue, which had inhabited the same square from 1995, was accompanied by a quote from a character in the first Godzilla film released in 1954. The inscription read, "I don't think this Godzilla is the last one." The square is now named Hibiya Godzilla Square, and the old Godzilla statue will be relocated to Toho Cinemas Hibiya opening in the area on March 29.